Like them on Facebook, find them on Twitter and for a really great way to see what this company is all about, check out their Pinterest boards! Fun!!! 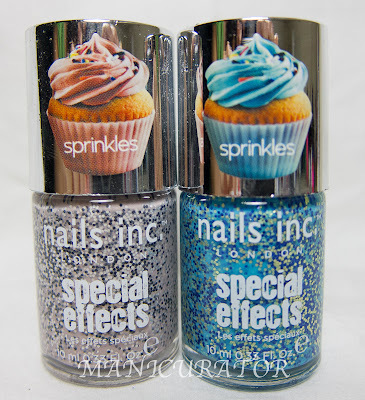 I received Pudding Lane - "teal with navy and gold sprinkles" and Sugar House Lane - "Pastel grey with monochrome sprinkles" and I will have to let the pictures do most of the talking here! The formula for both was a dream. Two easy coats. This is not your average grey, leans very pinky-grey. 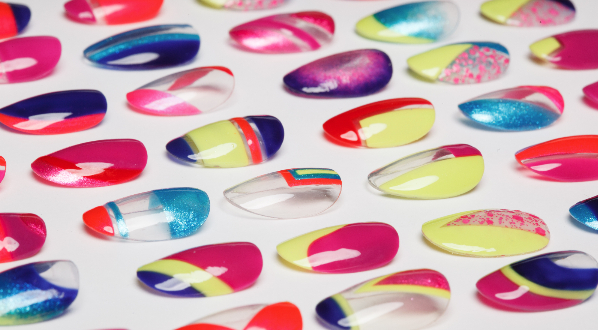 Easy application, two coats with China Gaze fast dry top coat. 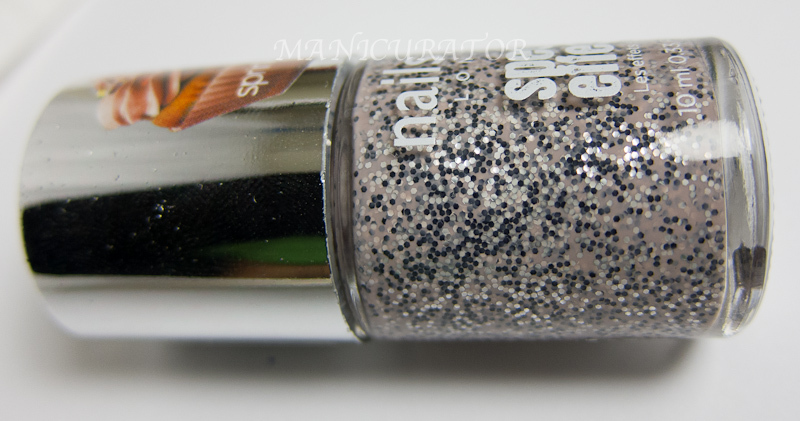 You can see a tiny bit of the "sprinkle" grit come through this top coat. 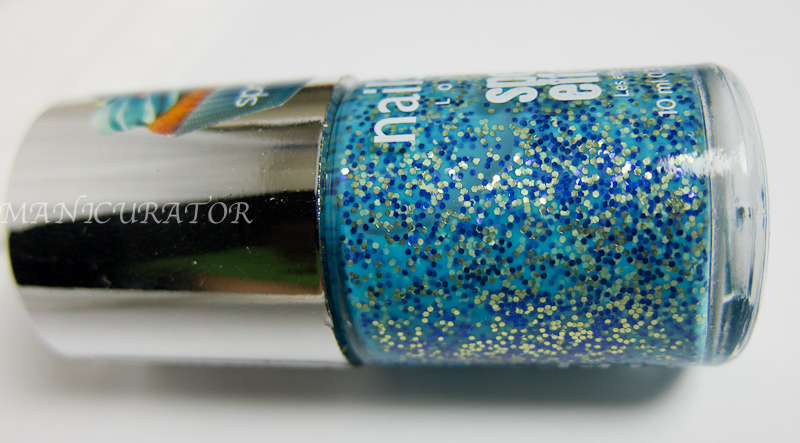 I'd recommend 2 coats of top coat or a thicker top coat like Seche Vite if this is something that bothers you. 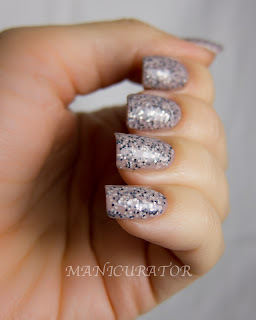 I decided to top this one off with Seche Vite and liked the gloss look on this better than with the China Glaze fast dry. 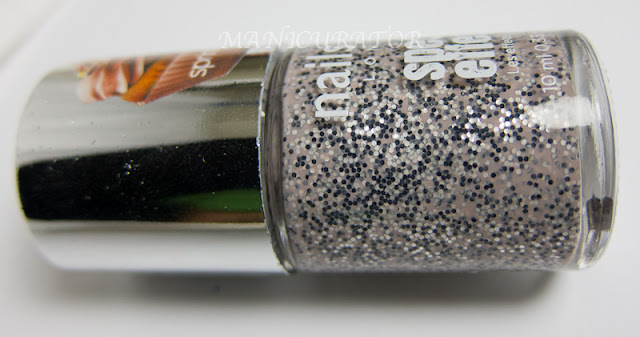 This, again is 2 easy coats and it's one of my favorite polishes. Nails Inc describes it as being "teal". I personally don't see that. Seems more of a medium blue that leans more aqua than teal. Aren't these gorgeous?? Do you own any of the Sprinkles? Which is your favorite? I used to be a give me pink or give me nothing girl...and now...I'm all about the blues. This one is awesome!! I have Sweets Way and I flippin' love it. I really love these 2 on you and I am *thisclose* to just saying, "screw it" and ordering the rest to complete my set. Beautiful pictures! I don't own any Sprinkles but I'm DYINGGGG to! They're so cute and I luuuuurve cupcakes so I totally need these! 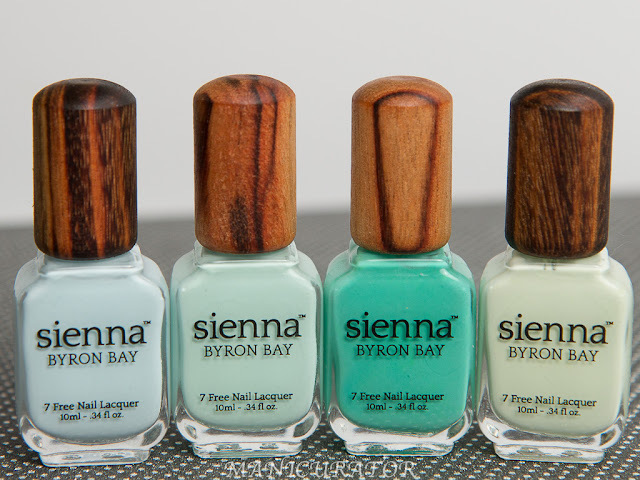 Awesome polishes, especially the blue one, love it! They just didn't appeal to me that much but the blue I was on the fence about. I do like blues. I love these but I really hate taking off glitter! I may not buy theme unless they go on sale. I have these myself, but I haven't used them yet. I love the colors! You did an excellent job on your swatching pictures. Pudding Lane is so pretty! I love it! Ooh, I really liked the first one. 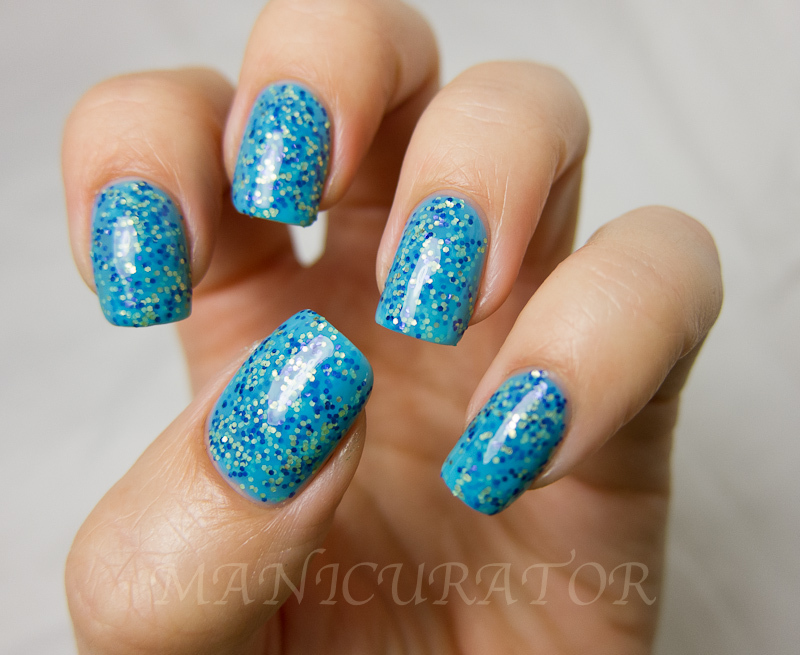 Such a beautiful colour and I love the combo with the sprinkles! !